Will she ever learn to tie her shoes? It is one of the perils of going back to school, causing equal anguish for both parent and child. 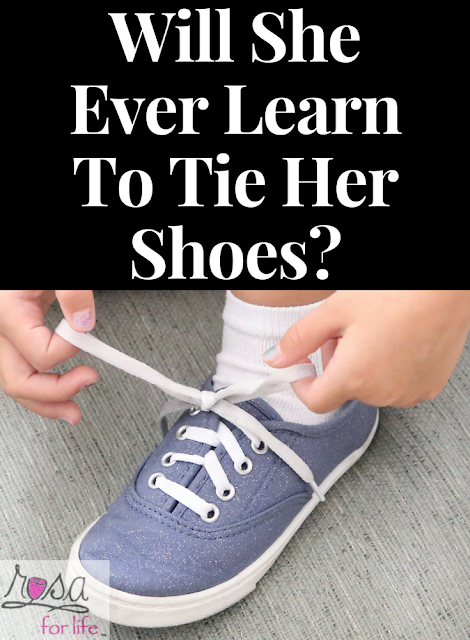 But however tricky it may be to master the art of tying shoelaces, an expert has warned that parents should not take the easy way out by repeatedly buying their offspring Velcro or slip-on shoes.